How can I protect my rugs against bugs? BUGS + RUGS = BAD NEWS! 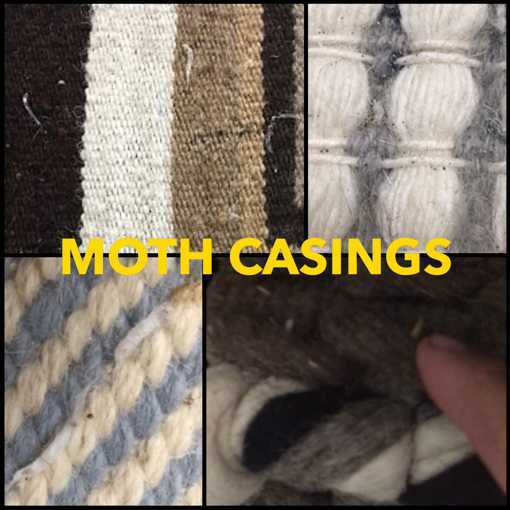 Moths, carpet beetles and other bugs love to feed on rug fibers like wool and other contaminants that may be holding on to rug fibers. 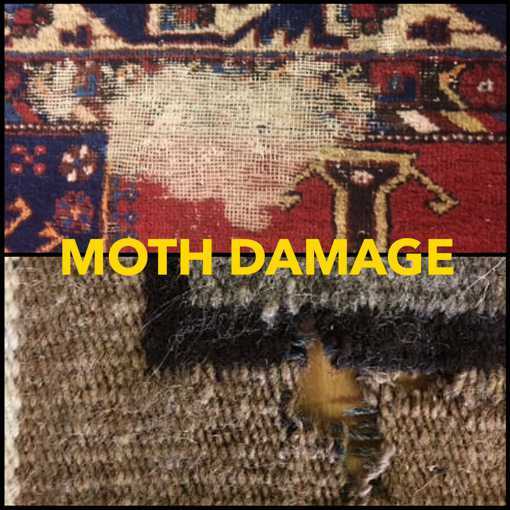 Believe it or not, rugs that are kept in storage are the most susceptible to moth/bug damage. Bugs like to cozy up and feed in dark, undisturbed areas such as storage or underneath a bed/sofa. Check the back side of your rug for damage. Click HERE for instructions. Vacuum your rugs regularly and don’t neglect areas under large furniture. We recommend professional rug cleaning and care every 2 years at least. Frequency depends on foot traffic, pets/urine, the quality of your rug fibers and quality/frequency of your vacuuming at home. Side note: pet urine combined with moth presence is a dangerous combination as moths tend to eat the urine soaked areas first. Prep for storage! Have us properly clean and wrap your rug BEFORE you store it. Note- Wool rugs should NEVER be wrapped in plastic.